KAZAN, November 8. /TASS/. British singer and songwriter Sting continues his Russian tour to promote his 44/876 album, recorded together with Jamaican reggae musician Shaggy. On Wednesday, the two performed at Kazan’s Tatneft Arena, a TASS correspondent reported. The two musicians presented both well-known songs, such as Englishman In New York, band The Police’s hit Message In A Bottle and Shape Of My Heart included in the Leon movie’s soundtrack, and songs from the new album released in April. Sting and Shaggy played two encores, performing Desert Rose, It Wasn’t Me, Every Breath You Take and Fragile. Before the final song, Shaggy thanked the audience saying there were no better fans than the Kazan ones. The title of the new album by Sting and Shaggy refers to the telephone codes of the United Kingdom and Jamaica. A thing to note is that it was in Jamaica where Sting wrote his hit song Every Breath You Take. The Russian tour kicked off in the city of Yekaterinburg on November 5. On November 9, Sting will perform in St. Petersburg, while his Moscow show is scheduled to take place at the Olympic Stadium on November 11. The British singer last toured Russia in October 2017. 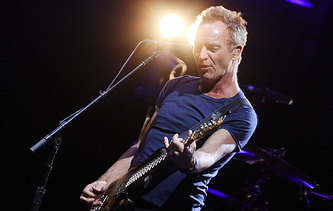 Sting launched his career with a rock band The Police together with Stewart Copeland and Andy Summers. They released five chart-topping albums, received six Grammy Awards and were inducted into the Rock and Roll Hall of Fame. In 1985, Sting chose to go solo, eventually earning ten Grammys, two Brit Awards, a Golden Globe Award, an Emmy Award and three nominations for the Academy Awards. 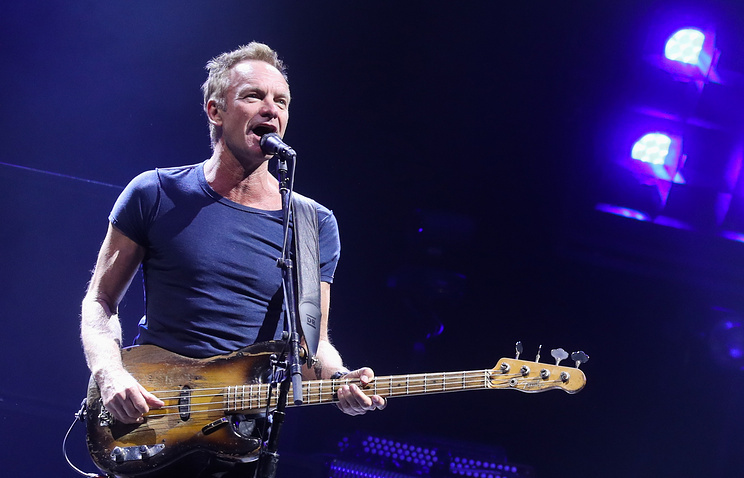 Thanks to both his solos and performances with The Police, Sting has sold over 100 million records.